I was an elementary schooler when Rollermania took hold. 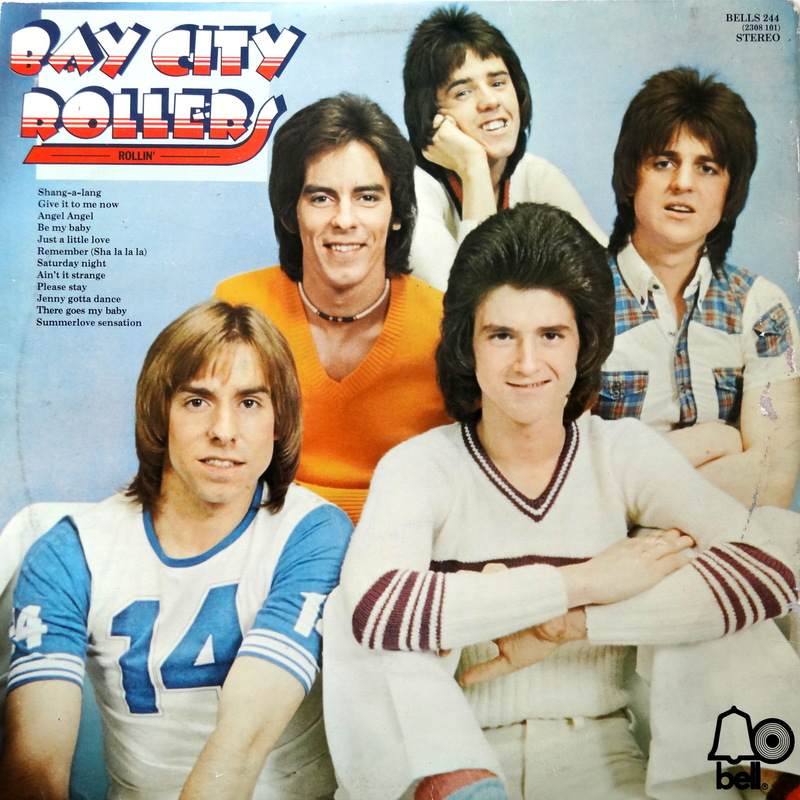 The Bay City Rollers hit big with US teenyboppers in late ’75 with “Saturday Night,” but they’d already hit in the UK the previous year with the Rollin’ album. Within five years they’d be hosting a Saturday morning kiddie show, a sort of downward spiral in plaid. 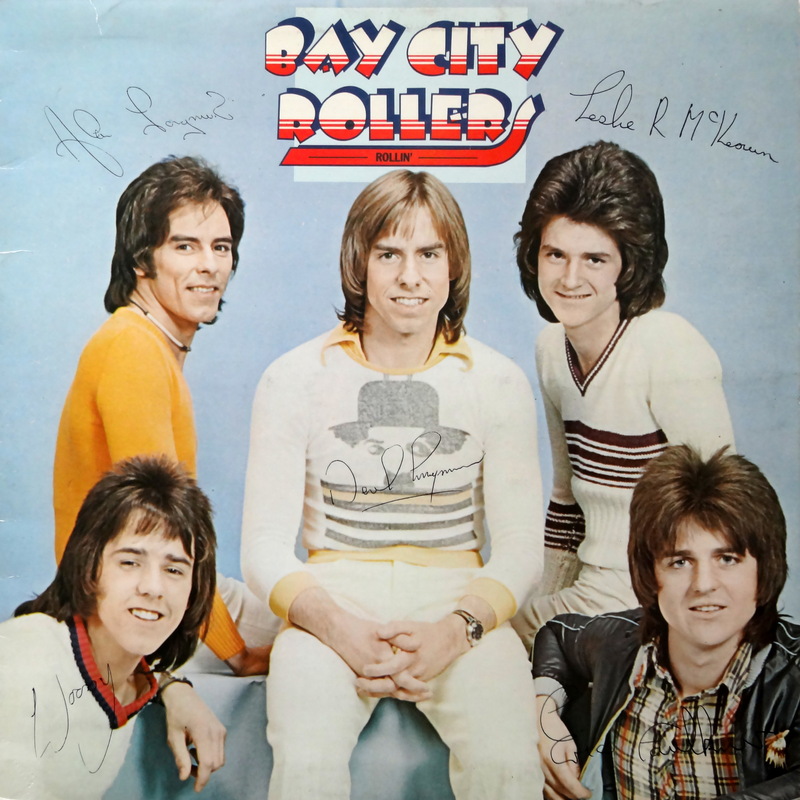 I’ll be honest: I don’t have any love for the Bay City Rollers, not even a low grade nostalgic enthusiasm. When I was eight years old I recognized them as a contrived hustle rather than an actual band, and I’ve never really let go of that feeling. So what am I doing with a copy of their debut album? One of the great pleasures of being a record geek is that dear friends occasionally buy me records when they think I’ll appreciate their hideous album covers, and Rollin’ certainly meets the criteria. Check out those hair helmets, the sweaters, the pasty complexions and the “I hate my life” smiles. It’s like they shot this album cover at the Sears Portrait Studio. Things get a little more casual on the back cover, but the lads are still a sight. The girls loved them, though, so there’s that. Rollin’ will set you back a buck or so at your local charity shop, but here’s the big question: Is it bad enough for the Bad Album Cover Hall of Fame? Leave me a comment and let me know.